Kartik month is considered only for festivals and festivals. This month is the 15th day of the full moon full moon. 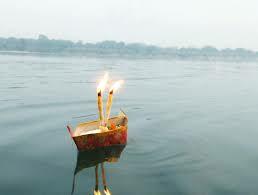 Kartik Purnima is celebrated and worshiped between the charming shades of the moonlight night. On the same day, Shri Guru Nanak Dev Prakashotsav and Shri Shatunjay Teerth Yatra also start. On the day of Kartik Purnima, Lord Shiva had killed the demon named Tripurasur, after which he went to worship even after being called Tripurari. Tripurasur had panicked in all the three places; on the day of his death, all the Gods lit the lights and made them happy. In view of this, it is also called Dev Diwali. At the same time, Lord Vishnu also took fishery avatar on the day of full moon. This day is also very special for the devotees of Radha-Krishna. It is believed that Radha and Krishna did this day. In Andhra Pradesh and Karnataka, Shivling Mahajal Abhishek also happens on this day. The bath is considered very good on this day. Wake up early in the morning and should bath. If it is in the Sun River or in the holy river, it is better. After bathing, worship, sun and lamp worship. Worship with a true heart. A donation is very important on this day. It is believed that the donations given on this day are multiplied. Once there was a monster, his name was Tripura. For a long time, Tripura performed the penance of Brahma Ji. Pleased with the penance, Brahma Ji asked him to ask him a favor. Tripura Sur said that I should not be killed by the hands of the gods and neither nor of human hands Brahma Ji said Thaastya At the same time, Tripura started torturing him. In the end, he climbed Mount Kailash. His fight with Lord Shiva took place on Kailash and Tripurasur was killed.